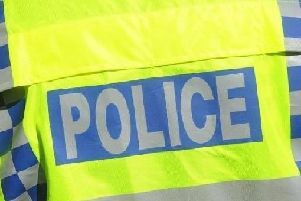 Four people have been arrested after a man was attacked near the Aqua Vale Leisure Centre in Aylesbury. The victim, a 26-year-old man, was walking in Park Street between about 3pm and 3.10pm yesterday afternoon (Sunday). He was then approached by three men, who punched and kicked him. The offenders are all black and left the scene in a grey BMW vehicle. The victim sustained injuries to his head but did not require hospital treatment. Four men, aged 27, 27, 25 and 24 and all from Aylesbury have been arrested on suspicion of assault. They have all been released on police bail until January 15 2016. Investigating officer, PC Graham Gray from Aylesbury police station said: “The offence happened during a busy time of day near Aqua Vale Leisure Centre so it is possible the assault would have been seen by a number of people.